It is important for me to stress I’m not a neuroscientist or a psychologist. That’s not me. My desire here, within Exploring the Business Brain, is not to lecture you on the heretofore mentioned Business Brain Model℠. I’m not here to conduct neuroscientific research or psychological evaluations. All I would like to do is share anecdotal information and empirical results that I have learned over the past 50+ years of successful entrepreneurship. While I am not a formal student of neuroscience or psychology, my exposure has not been insignificant and it is diversified in nature. I plan to get you thinking about the neuroscience aspect of a holistic approach to business. I must also say that while these words are my own, many of the ideas I will share on the “Exploring the Business Brain Blog” originated (or stimulated) from others. When possible, the original ideas will be referenced and sourced. And I will encourage you to do your own research and reading on a subject whose depth knows no end. First and foremost, I am simply intrigued and fascinated by the opportunity to see the relevance of the model promoted in the world of business. Given my foot in both camps, I have seen daily progress on the neuroscience/psychological side in facts discovered and information published that directly benefits the business side. This goes beyond promoting the world of neuroscience and psychology in the world of business – we are tracking what is going on to further develop the Business Brain Model for the benefit of all. In the world of business, [holism] focuses on the culture and the environment plus people’s motivation and compensation. The other reason I am doing this is because I have dedicated my life to investing in and improving businesses plus investing in and improving lives. At Kirchner Group, we firmly believe in what we have named the Earn It and Return It Model: whether financial or intellectual, any gains should be shared for the betterment of others. The only reward for doing the right thing is knowing you did the right thing. When I thought about expanding this legacy of giving back that we have spent decades building at Kirchner Group, I thought the most modern way to reach the most people was to build an active digital library. We won’t discuss neuro nuances. We will keep our focus on people. More specifically, business people in the know. The people who know neuromarketing. The people who know performance coaching. The people who know there is more to know. I have not come across anyone promoting a truly holistic approach to neuroscience and psychology in business. (Have you? Let us know if you have!) And I want that to change for the betterment of business – your business, my business and the world’s business. You can do much better quantitative business and qualitative business by looking into another discipline. I don’t mean skimming the surface for a slogan to create a “Hey Girl. 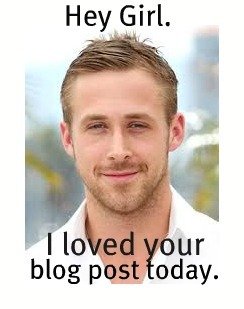 Ryan Gosling meme” or for pretty, meaningless infographics. I mean looking at the entire story. Holism is the integration of all the pieces simultaneously. In the world of business it focuses on the culture and the environment plus people’s motivation and compensation. When I interview people whose company I am thinking of buying, my first session is one-on-one with them with no agenda because I don’t want to hear a checklist of issues. I want them to tell me in a holistic fashion what makes their company good and where their inherent synergisms lie. I believe that understanding your brain better will give you a competitive advantage in business. My hope for this neuroscience, psychology and business (our Business Brain Model℠) resource is to reach small and medium enterprises because those are the businesses where people have to have a more holistic skill set and orientation. These businesses don’t have a VP of Human Resources or a VP of Innovation. They have one person who must figure out how to manage the entire business system in order to thrive. Over the years I have learned that most of the jobs are created and most of the innovation occurs in the small to medium business realm – not in big business. The small and medium enterprises are the true economic engine driving growth. Exploring the Business Brain is for the business drivers. I invented this blog implicitly to help others grow. I know the world needs businesses to grow. And I know businesses need our Business Brain Model to grow.